If you can‘t measure, you can‘t manage. AFS from Case IH enables data to be recorded in real time, and allows immediate analysis and the formulation of action plans. 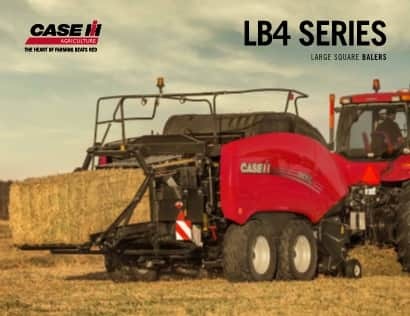 To supply up to date and accurate information to run the baling operation efficiently, Case IH balers equipped with data collection systems supply detailed and summarised data on the parameters of each bale (moisture, weight and location in field). The information measures the bale count per field, as well as the total yield, making accurate accounting and planning possible. The data can be expressed via a converter program, into a customisable table showing the parameters of the bale down to the minutest detail (“slice” level) or in summarised form, whichever is required by your customer or for your needs. If the tractor baler combination is equipped with an AFS receiver, the bale locations are defined and can be mapped with the relevant Case IH software, showing location of the bales and yields, allowing the bales to be collected by moisture level, weight or any other parameter. Optional File Transfer uses telematics technology to wirelessly transfer complete bale/field/work data from the AFS Pro 700 terminal in the tractor to the AFS Connect portal to be analysed on the farm office computer.